Hi all! I hope you all are having a great weekend. I've never been one to yell from the rooftop my religious preference but after today's conference, I thought maybe I should. Every six months our church does a general conference where our church leaders including our Prophet speaks words of inspiration to us. This morning Sister﻿ Ann Dibb spoke about taking a stance and living by it. 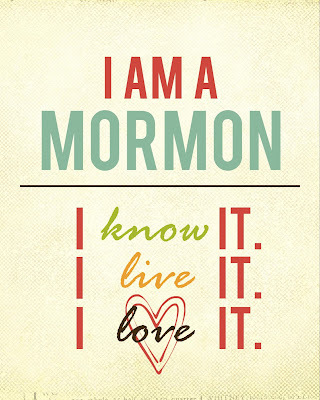 She coined the phrase, "I am a Mormon. I know it. I live it. I love it." I loved it! I thought it would make a great printable for my kids' bedroom and look good on our blog sidebar. I'm not the only one. I'm seeing them all over Pinterest and Instagram already. Here is my take on it. This is an 8x10 jpg image. If you want it you can download from Google docs HERE. If you nab it please remember to give credit where credit is due and it may only be used for personal use. Speaking of, the background paper is by Dani Mogstad. Thanks so much! I hope you enjoyed your conference weekend. I'm feeling uplifted and refreshed. Now onto face a new week! I LOVE this! I've seen this quote all over pinterest this week, but this is by far my favorite!!! Thanks so much! I am a YW president in LV, NV. 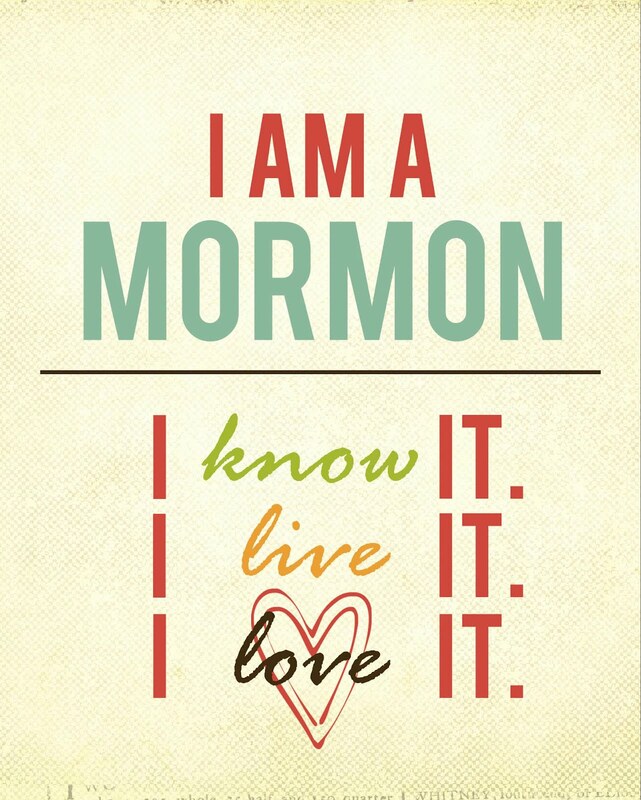 We are planning to make tee shirts for our YW with this saying on it to give them for Christmas. While searching ideas I came across your design and love it so much! Would you mind if we use your design for our tees? Also wondering if you have it without the background paper? Can I use this for my lesson on Sunday?